Recent Arrival! 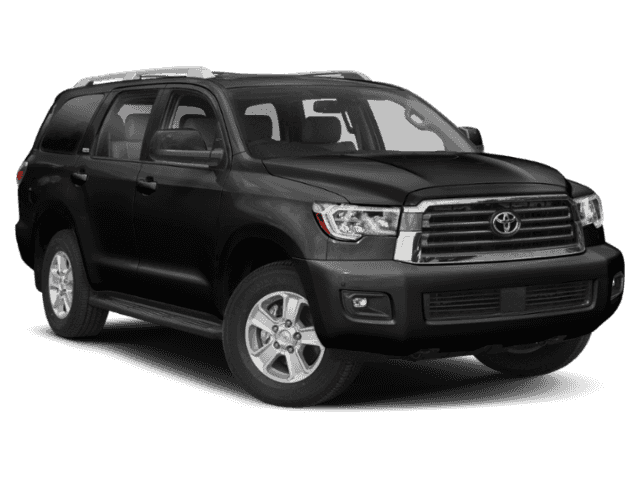 4WD 2019 Toyota Sequoia Platinum Platinum i-Force 5.7L V8 DOHC VVT-i Midnight Black Metallic LEATHER, SUNROOF/MOONROOF, REAR BACK UP CAMERA, NAVIGATION/GPS/NAV, BLUETOOTH, REAR ENTERTAINMENT DVD PLAYER, LEATHER HEATED SEATS, **STEERING WHEEL MOUNTED AUDIO CONTROLS**, 3RD ROW SEVEN PASSENGER, 6-Speed Automatic Electronic, 4WD, All Weather Floor Liners, All-Weather Cargo Mat, All-Weather Floor Liner Package, Blind spot sensor: Blind Spot Monitor w/Lane Change Assist warning, Door Sill Protectors, Entertainment system, Headphones, Navigation System, Power moonroof, Turn signal indicator mirrors. Proudly serving Elizabethtown and all of Kentucky for over 60 years! Call 270-737-2181 or (800) 999-7591 to schedule a test drive today. All prices plus tax, title, lic, and dealer processing fee. 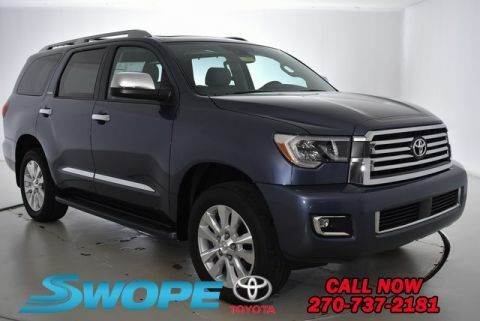 4WD 2019 Toyota Sequoia Platinum Platinum i-Force 5.7L V8 DOHC VVT-i Shoreline Mist LEATHER, SUNROOF/MOONROOF, REAR BACK UP CAMERA, NAVIGATION/GPS/NAV, BLUETOOTH, LEATHER HEATED SEATS, **STEERING WHEEL MOUNTED AUDIO CONTROLS**, 6-Speed Automatic Electronic, 4WD, All Weather Floor Liners, All-Weather Cargo Mat, All-Weather Floor Liner Package, Door Sill Protectors, Navigation System, Power moonroof. Proudly serving Elizabethtown and all of Kentucky for over 60 years! Call 270-737-2181 or (800) 999-7591 to schedule a test drive today. All prices plus tax, title, lic, and dealer processing fee. 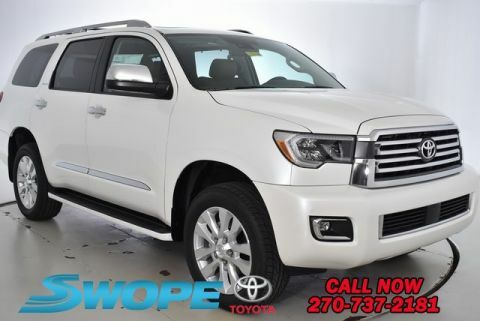 4WD 2019 Toyota Sequoia Platinum Platinum i-Force 5.7L V8 DOHC VVT-i Blizzard Pearl LEATHER, SUNROOF/MOONROOF, REAR BACK UP CAMERA, NAVIGATION/GPS/NAV, BLUETOOTH, LEATHER HEATED SEATS, **STEERING WHEEL MOUNTED AUDIO CONTROLS**, POWER WINDOWS, 6-Speed Automatic Electronic, 4WD, All Weather Floor Liners, All-Weather Cargo Mat, All-Weather Floor Liner Package, Door Sill Protectors, Navigation System, Power Liftgate, Power moonroof. Proudly serving Elizabethtown and all of Kentucky for over 60 years! Call 270-737-2181 or (800) 999-7591 to schedule a test drive today. All prices plus tax, title, lic, and dealer processing fee.